Rigid Bicycles: Imagine a Pittsburgh bicycle park: it would be bananas! Imagine a Pittsburgh bicycle park: it would be bananas! This is a special Wednesday post so everyone can get these events on their calendars. A big part of why I started putting up my thoughts online was to create another venue for talking about urban bicycle parks. I am thrilled about the increase in on-street infrastructure that promotes bicycle commuting; I love bicycle transportation, and I myself commute by bicycle daily, but my heart has always been in the dirt. Therefore, it excites me to get the chance to share the first step toward creating a recreational bicycle facility inside the City of Pittsburgh. 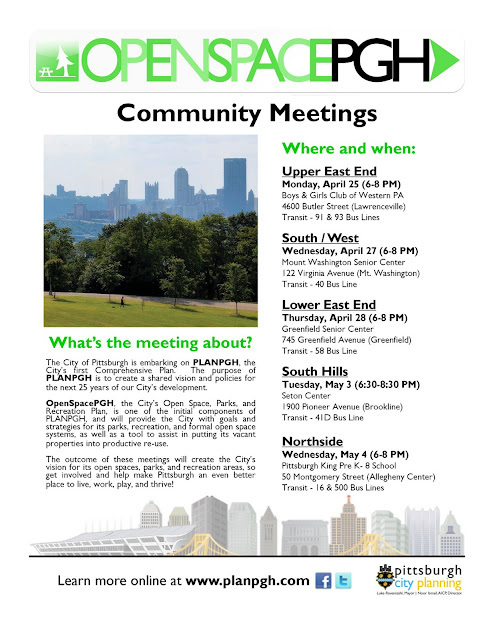 The Department of City Planning is hosting a series of community meetings to gauge interest in re-imagining the city's parks and other city-owned properties. This is the Open Space component of PlanPGH. Cyclists need to let their voices be heard: we want to see a park dedicated to bicycles. If you are interested at all in parks, bicycles, or open space issues, please try to attend one the of meetings that works for you. And just to make things clear, I work for the Department of City Planning. 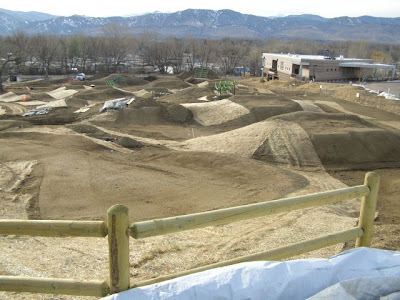 If you are wondering what an urban bicycle park might look like, other cities have done this. Boulder. New York City. Seattle. Boulder is creating what will be one of the coolest bicycle parks in the world.